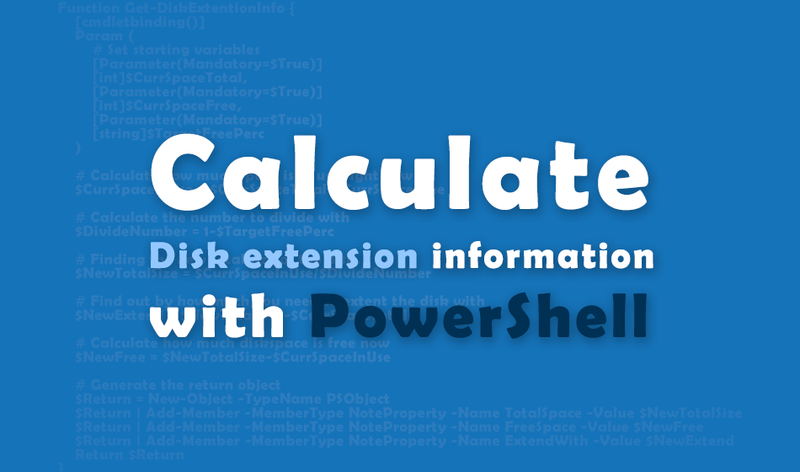 Calculate how many Gigabytes you need to extend your disk with, to gain a certain percentage free disk space, with this PowerShell script! This evening i was asked if i did remember how to do a percentage calculation, in order to tell by how many gigabyte a disk needed to be extended to gain 20% free disk space. The result was this PowerShell script, that i am sharing with you! Note: -TargetFreePrec has to be like 0.2 for 20%, 0.5 for 50% and so on. This script does nothing but calculating. But as always, only run scripts from the internet, at your own risk! # Finding the new total size of the disk.